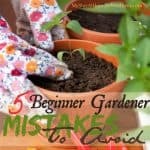 You are a beginner gardener and you the idea of building raised vegetable garden beds for your garden. 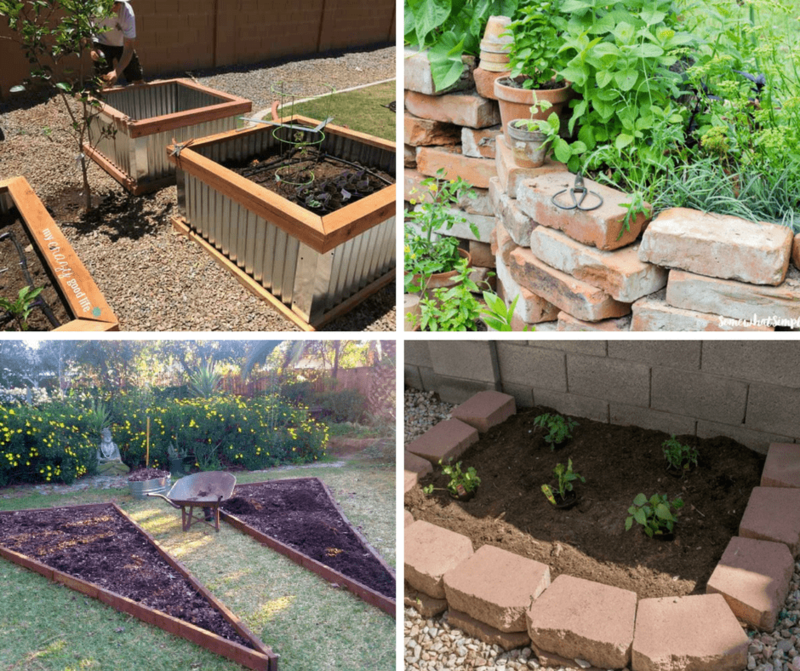 The good news is that this how to build raised vegetable garden beds for beginner gardeners will give you ideas to help you. When I started gardening a few years ago there was so much I didn't know about gardening. I made so many beginner gardener mistakes, but I kept on, and my garden provided me with delicious veggies that year. I decided that I wanted to try gardening using raised beds because I had a small yard and gardening with raised garden beds was what would work for me. 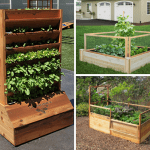 There are many benefits to using raised vegetable garden beds in your garden. 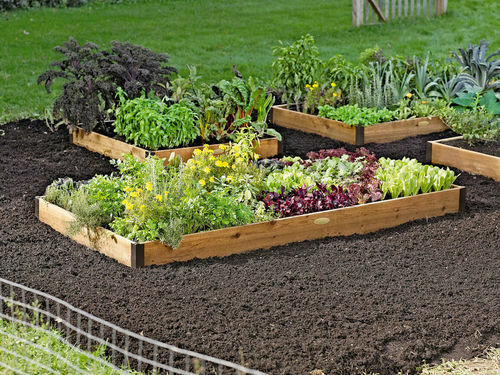 Did you know that elevated garden beds are easier for you? When you use a raised garden bed, it is easier for your back and knees. The reason why is because you do less bending, less kneeling, and less crawling than regular beds. You can spend your time working on your garden and not worry about hurting later. Raised vegetable garden beds have better drainage, and this means that plants aren't exposed to too much water when it rains. 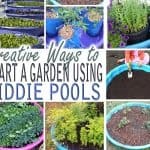 Since one of my mistakes as a beginner gardener was to over water, I felt that this was a better way to help my plants. Also, since we get those monster thunderstorms we love so much during hot days, I felt that having a better drainage system for my garden was beneficial. The reason I didn't start my garden on the ground was that I felt that it will be too much work. It is much easier to add soil and build the soil up than working amendments into the ground. 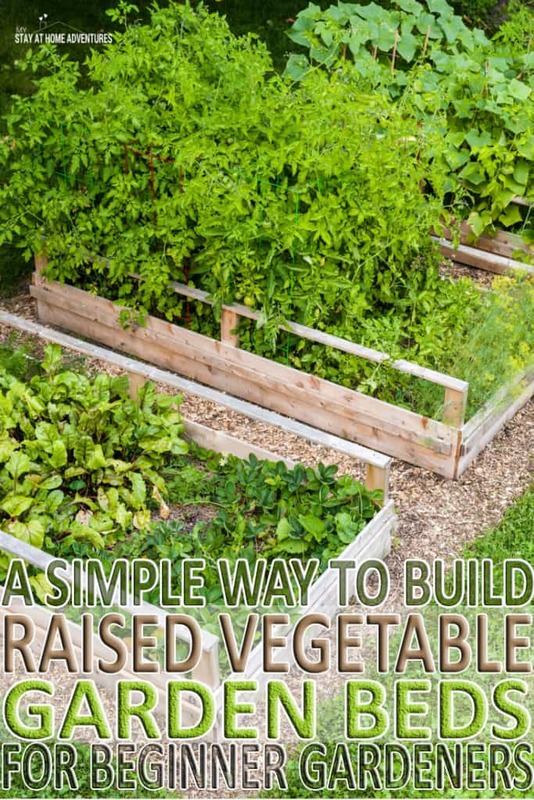 Building raised vegetable garden beds are very easy. You can make this into a one-day DYI project. Even your kids can help with help to build their garden raised bed! 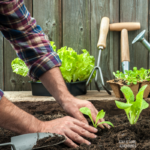 All you need to build your raised vegetable garden beds are some available tools and material and of course, an extra pair of hands. The instructions here will create two 8’ x 4’ x 6” high beds. An important note you need to know before you purchase the woods. The reason we use cedar is that it is a natural insect and moisture resistant. What this means that using cedar will hold up well against the environment. When you use cedar, you know that it will naturally keep insects away from your garden without the use of chemicals and will handle the weather. Using pressure treated lumber in your garden means you are exposing your food to chemicals. The chemicals found in the pressure treated wood will leach into the soil which will affect your plants. This is something to think about if you are thinking of not using cedar for your raised vegetable garden beds. When purchasing cedar board, please know that they come in different widths and lengths. What does this mean? This means that using a wider board will create a shallow bed. An example will be that you use 6″ wide boards when creating your raised vegetable garden bed and I use a 10″ cedar board to build my raised beds. Your raised vegetable garden beds are going to be more shallow than my 10″ raised beds. For your preference in size make sure you check the length and size of your cedar board. If you think that 4′ beds are a bit too wide for you, reduce the length of each cedar board to 3′ – 3.5′ and this will help. Line the ends of an 8′ foot section and a 4′ section up to have them form the shape of the letter L.
Have another person hold the boards in place while you secure two boards together using the wood screws or metal corner brackets. Next, you will repeat this process with the remaining cedar boards. When you are done with this task, you would have created two (8′ length by 4′ wide) wooden rectangle. When the raised vegetable garden beds are built, place them in a sunny spot where they will be in your garden. I used store-bought gardening mix soil and to be honest, that can be a bit pricey. However, you are more than welcome to use them. To help you reduce the cost of buying pre-packaged gardening mix soil bags, you can create your own that is very cost effective and very easy to make. A thick layer of newspaper or cardboard (flattened) across the bottom of your garden bed box. By doing this, you are preventing the growth of weed and grass from growing inside your bed. Alternate by adding a layer of compost. A layer of peat moss. A layer of manure followed by topsoil. Adding amendments as bone meal or slow release organic fertilizer can be used after decided which plant you will be growing in each raised bed. To determine the nutrients in your soil, conduct soil test as this will help to accommodate your plants. If you are building your raised vegetable garden beds during the fall season a trick to get beautiful rich soil the next spring season is to “cook down” your bed during the winter. To do this just method cover the raised beds with dark plastic during the winter season. A good tip to know before doing this method is to make sure you fill the beds with a lot of soil because the soil in the raised vegetable garden beds will be lowered by spring. If you build your raised vegetable garden beds during the spring season, you can plant right into the layered mixture. One thing I noticed was that the layers broke down and formed a rich soil. 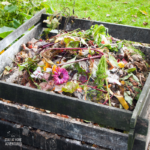 To avoid burning your plants, do not use fresh compost, manure, or barn litter. For inspirations check out these DIY raised beds to help you get inspired! Congratulation on building your first raised vegetable garden beds! These instructions were not difficult and if this girl here can build one, you can too! 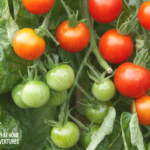 Enjoy your raised vegetable garden beds and to your future in gardening adventures!